Nigerian military says it has rescued 25 more children and women from Boko Haram as part of its ongoing campaign to attack and destroy the armed group’s camps in the northeast. Army spokesman Colonel Sani Usman said many Boko Haram fighters were killed in a gun battle on Wednesday morning. One soldier was killed and five others were wounded, Usman said. Al Jazeera could not independently verify the report. About 700 children and women have been rescued in the past week as soldiers supported by air raids have deployed on foot into the Sambisa Forest, the last stronghold of Nigeria’s home-grown armed group. Last week the army said they rescued 293 girls and women from the forest. It is unclear if those rescued include some of the schoolgirls kidnapped a year ago from Chibok town. Some 219 remain missing. According to human rights group Amnesty International, more that 5,500 civilians have been killed and more than 1.5 million people, including 800,000 children, have fled their homes due to the violence in the country’s northeast. Boko Haram, designated by the US as a “terrorist” organisation, has been fighting since 2009 to establish sharia law in all 36 states of Nigeria, which is roughly equally divided between a mainly Christian south and a largely Muslim north. 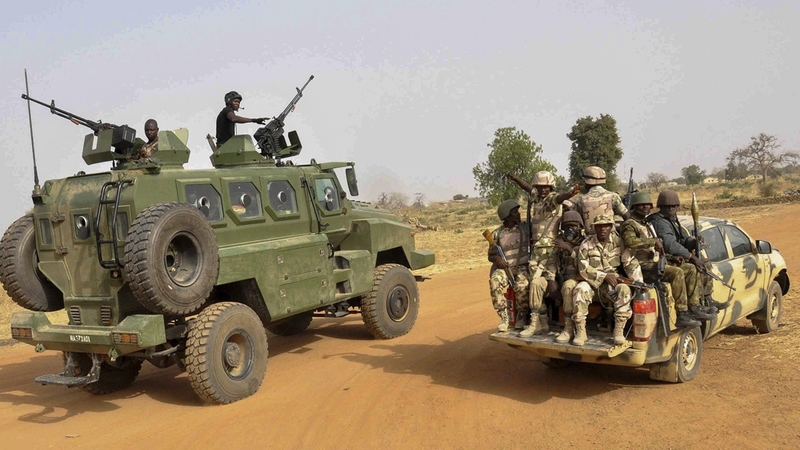 The post Nigerian troops ‘rescue dozens’ from Boko Haram appeared first on African Media Agency.